A slew of films in a fledgling career. WASHINGTON, DC: Time to add another name to the ever-growing list of Indian Americans making a splash in Hollywood – this time, it’s eight year-old Rohan Chand. Born in New York City, Chand was first spotted by a casting director at one of his little league baseball games. Seeing talent in Chand, the director recommended him to Dennis Dugan, who cast him in the role of Gary Sadelstein, the adopted son of Adam Sandler and Katie Holmes in Jack and Jill. The film, which also co-starred screen legend Al Pacino, was a critical and commercial flop, but Chand received positive notices and his screen career was born. His most recent role was as a young Afghan boy in the 2013 war film Lone Survivor. Starring Oscar-nominee Mark Wahlberg (The Departed) and directed by Peter Berg, the film is currently nominated for two Academy Awards and has become a surprise box office hit, having grossed over $93 million so far off a budget of just $40 million. 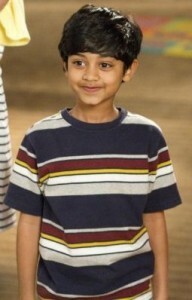 Chand also had a brief role in the Showtime series “Homeland” as Issa Nazir. The program is one of the biggest hits on television, and has won numerous industry awards including the Golden Globes and the Primetime Emmys. In his free time, Chand enjoys sports, playing soccer and tennis in addition to baseball. He can be seen next in the upcoming Jason Bateman film Bad Words, which has garnered some controversy over its trailer, which contains several slurs against Indians that are directed at Chand’s character. Regardless, the film has garnered generally positive early reviews from the festival circuit, and hits theaters nationwide in March. Additionally, Chand will be in The Hundred-Foot Journey, which opens later this year. The film, co-produced by Steven Spielberg and Oprah Winfrey, also stars Om Puri, Manish Dayal, and Juhi Chawla, with music composed by A.R. Rahman. It opens on August 8.